Highly entertaining sci-fi fantasy comedy. This movie is far more silly than the first and at the same time far less story. I think that the thing I enjoy the most about the first movie what the introduction and also the development of all the characters. There is little to none of that in this second volume, and when you take that out there really is no more left than a heavy load of CGI and explosions. In fact… in my opinion only two things have been turned up a notch or two since the first one, and that is the effects and the 80’ies references. I love that Kurt Russell is featuring as one of the main characters in this hardcor nerdy yet silly movie, and he does it really well. Obviously Stan Lee has a cameo in this one as well, but I laughed out loud when Hasselhoff suddenly went on the screen as well. Actually I laughed out loud several times during this movie. It is really funny and it handles the comedy and silliness in a way that prevents it from becoming lame. That is rare for a modern comedy in my opinion. 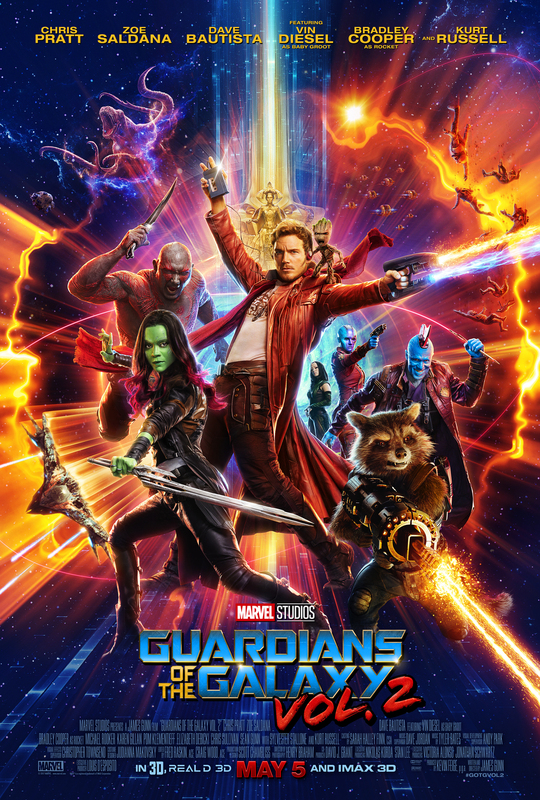 This is one lame thin, and I might catch some flak for this, but one thing I found very lame and stupid in this movie was baby Groot. Adding a Disney-like cute, adorable and utterly helpless side-kick that turns out to become important for the overall plot is just too stupid. This is only done to score cheap points with the younger audience and also to sell boatloads of merchandise. In my opinion he should have been left out or at least been scaled very much down. In general this is a highly enjoyable movie, however, not as good as the first one. If you enjoy Marvel movies this is recommendable. If you liked the first movie this is a must see, because now we are just waiting for the next installment in the series.